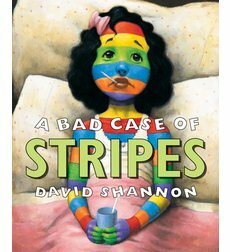 A Bad Case of Stripes by David Shannon is a great book for teaching individuality. This teaches kids that it is okay to be yourself, to like things that other people may not like, to be good at something that other people may think is strange or different and to not worry about what those people think. Camilla wanted to fit in with everyone so nobody would laugh at her but she got a bad case of stripes so all the kids laughed at her. Then all these experts and specialists came to help but they couldn’t so finally a little old lady came and helped Camilla change back by having her admit that she liked lima beans. Camilla learns that it is okay to be different and it doesn’t matter what other people think of you. After reading the book with your charges, print out this worksheet to have discussion about the emotions of all of the characters in the book. 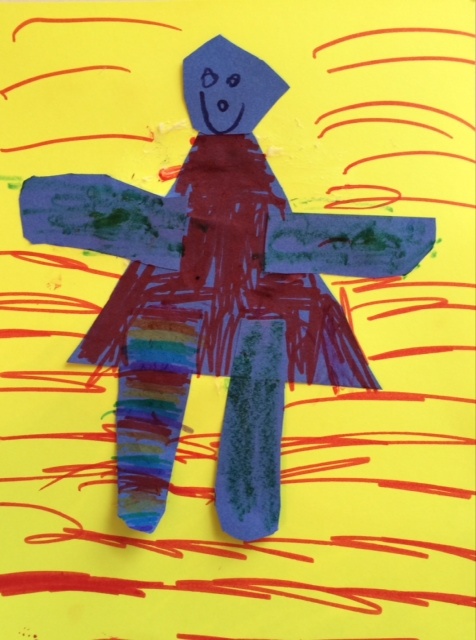 Trace the child on a large piece of paper. 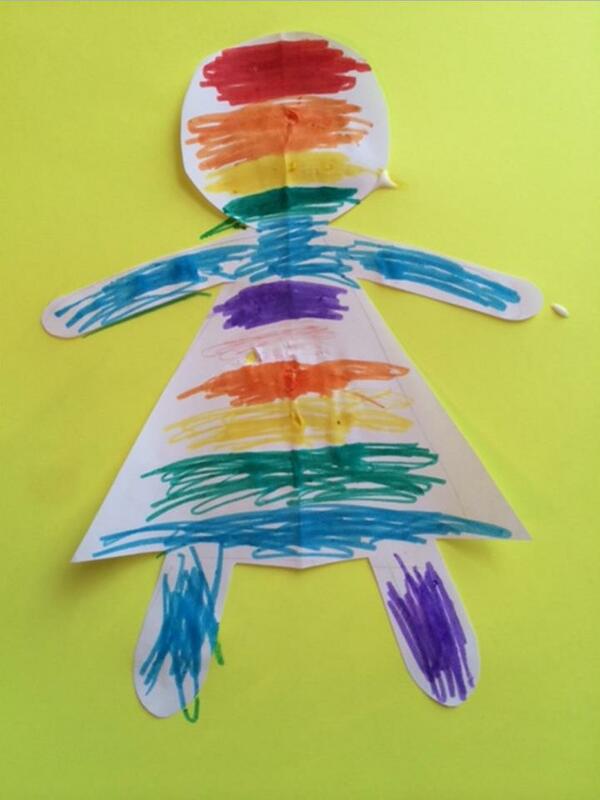 Have the child create a head from skin color paper and add facial details and hair. If you don’t have long enough paper it’s fine to use regular printer painter and not trace the child. Let them pretend that they had broken out into a bad case of stripes and decorate their body in the way in which they thought they would look. What makes you unique or different? How come Camilla never ate lima beans? Answer: Because her friends hated them and she wanted to fit in. Answer: Because she looked in the mirror and saw the stripes. Why was Camilla relieved not to have to go to school? Answer: Because she was afraid of what the other kids would say. Why did the Dr. say Camilla could go to school tomorrow? Answer: Because she was not sick she only looked different by having stripes. Why did Camilla’s stripes change at school? Answer: Because the kids kept yelling out different shapes and colors. Why were there reporters in front of Camilla’s house? Why did the old lady give Camilla lima beans? Answer: Because Camilla lied about liking them and the old lady thought that if she admitted she liked them she could change back. Why did Camilla not care that the kids thought she was weird? Answer: Because she ate her lima beans and never got a case of the stripes again.